Immaculate, private home with views of the park! ***One of only seven homes encircling Bristol Ridge Park! ***Light and bright home with tons of windows and high-end plantation shutters. ***Gorgeous brick fireplace, built-in media cabinet, and surround sound in the living room. ***Huge kitchen with large center island, breakfast bar, stainless steel appliances, tons of handsome wood cabinetry, and eat-in dining area. ***Spacious Master suite, ensuite bath with dual sinks... (See Supplement), ...large soaking tub, and separate glass shower. ***Hardwood flooring throughout the whole house. ***2nd-floor laundry room. ***Downstairs powder room. ***Enhanced landscaping around the property. ***Attached 2-car garage with epoxy flooring and fresh paint. 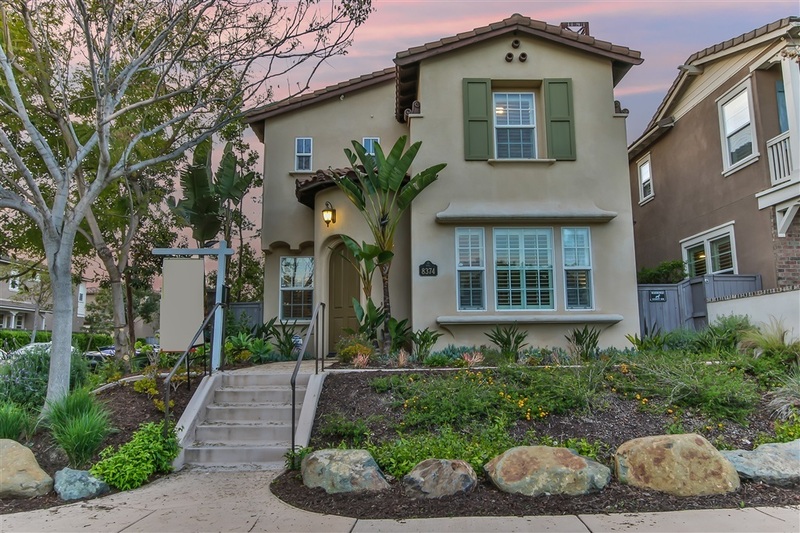 ***So many community amenities including 14 parks, 11 solar heated pools, 18 miles of hiking trails, events throughout the year, and is located in the award-winning Poway Unified School District, minutes from Del Sur Elementary.